Happy Friday! Hope you have had an awesome week!! 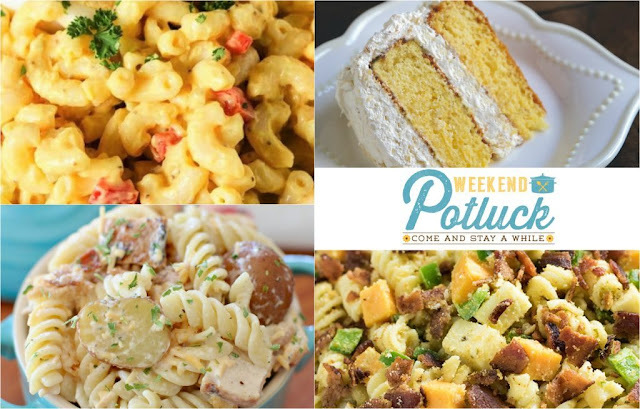 We have some mouthwatering features this week that are sure to make all the bellies happy around the table. Amish Macaroni Salad from The Kitchen is My Playground grabbed the top spot with the most clicked recipe. Other features this week include, Jalapeno Popper Pasta Salad (say WHAT??) Pig Pickin' Cake, and Chicken Bacon Ranch Potato Pasta Salad. Its the hostess recipe from our very own Brandie of The Country Cook. Which one will you try first? LINK BACK HERE from your post so that others can find the fun. BLOGGERS: Please note we had some great recipes last week but we could not feature them because they DID NOT LINK BACK. 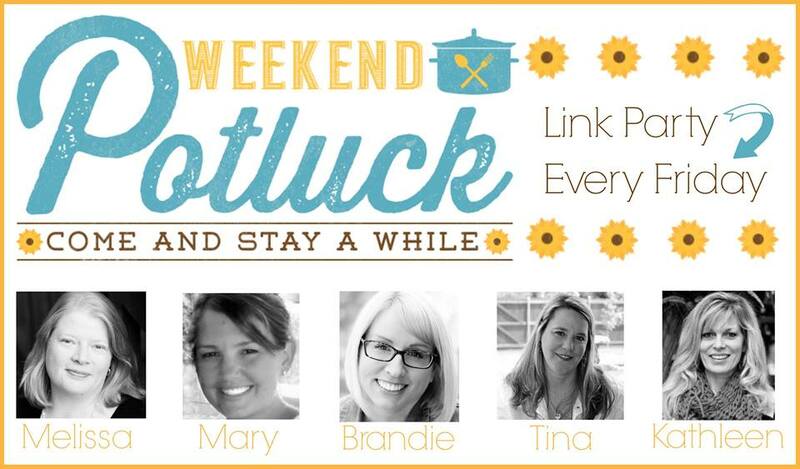 This potluck helps with our SEO and your SEO so linking back is essential and what makes this potluck worthwhile. Thank you for hosting! I always enjoy all of the great recipes shares at the Weekend Potluck! !